There comes a time when you have to change service providers for one reason or another. But changing virtual mailbox service providers is a little more difficult than changing your Electric or Gas Company. In the last few months I’ve just gone through this pain as I changed from Earth Class Mail to the Traveling Mailbox. The reason for my change was purely economic. Earth Class Mail has just emerged from bankruptcy with new owners and they have increased their pricing exponentially. Although they tell me I’m grandfathered into my current price plan, previous experience has shown that any new services or features I may like; I’ll have to change to the new more expensive price plan to gain access to them. So I started my quest in looking for a new virtual mailbox service provider. As usual I started my research at the Google search page. One very good site I found which has an excellent article with some good comparisons is the websites Travel China Cheaper. The websites author “Josh” has done an excellent job reviewing six virtual mailbox companies and in putting a side to side comparison chart at the bottom of his article. In addition to this article I have a few more recommendations/considerations when looking for a new virtual mailbox service provider. Try to avoid PO boxes if at all possible. PO boxes are limited to receiving mail from the United States Postal Service only. No other carrier such as UPS or FedEx can deliver to them. When reviewing a virtual mailbox provider which has several addresses that you can choose from, ask which addresses are located at the processing center and choose one of these addresses. I found with Earth Class Mail, using one of their addresses not at a processing center can add up to two weeks for you to receive your mail. This is because mail received at a remote location is simply forwarded to a processing center only once or twice a week. Ask what the average turnaround is for open and scan requests. Make sure they shred your mail by default and not just simply recycle it. This is one of my biggest pet peeves with Earth Class Mail, I had to explicitly tell them through their interface to shred mail as their default was simply recycle. Make sure your new virtual mailbox provider scans your mail in color by default. Ask if your new virtual mailbox provider will make check deposits for you. This comes in very handy when traveling out of the country. Complete USPS form 1589 and send it to your new virtual mailbox provider. This form gives your new virtual mailbox provider permission to receive your mail from the United States Postal Service. You will find that the United States Postal Service will not forward mail from one virtual mailbox provider to another. Therefore, you will need to contact everyone who sends mail to your virtual mailbox and change the address with them. I created a checklist of individuals and companies that I needed to change my mailing address with and I either called them all updated my information on their website. As I contacted each one I crossed them off my list. Contacting individuals and companies I found to be the most time-consuming in this whole exercise. Don’t close your old virtual mailbox yet! Wait at least two months before you call and close the account. This will enable you to still receive mail at the old virtual mailbox that went out before the sender was notified of your new address. 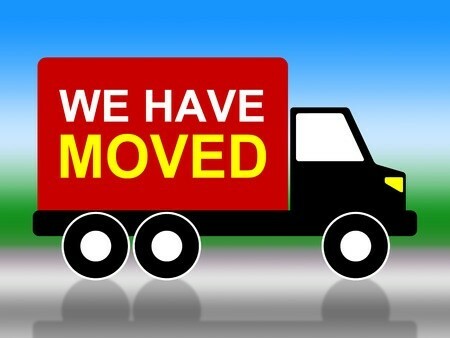 Also, it will give you chance to notify senders you may have missed in step two above about your new address. Once you are satisfied you are receiving all your important mail to the new virtual mailbox then go ahead and close the old one. Note that your old mailbox provider is still required by law to receive and hold your mail for up to six months after closing your account. After this time, they may destroy your mail they are holding and return to sender any new mail received. Hi Colin- thanks for this very informative article! I have been “on the road” (well, on the water- I live on a sailboat and am a full-time nomad) since 2008. We’ve used EarthClassMail since sailing away. It’s been fine, but I had that prickly feeling with price hikes and getting nickel & dimed for services with the new ownership too. I’m sticking with them for now because my needs are so limited, but it’s been tempting to change- especially as a loss of lease just forced changing our mailing address so I have to send updates anyway! I’ll be keen to hear you reflect on TravelingMailbox down the road. I’m curious to know what other services you evaluated in making your decision as well. Thanks again! Well I’m envious, living on a sailboat! Wow…………When looking for a replace virtual mail box to replace EMC I first started by Googling. But from my experiences with EMC I had a pretty good idea of what I needed/wanted. High on my list was an actual street address. It’s always been a problem for me just having a PO box around the Christmas holidays as friends and family wanted to send me gifts. Also, it was important to have an address at an actual processing center where my mail is opened and scanned. When I first joined EMC, I had a PO box in Atlanta, GA. Because I own a house in the Atlanta area and have loggers, I had all my utility bills go to the EMC PO Box in Atlanta. The problem was some of these bills would be mailed 2nd class and it would take just over a week for them to get to the PO Box in Atlanta. Once received, the mail was sent to EMC’s processing center in Portland, OR which took another week. Then another 24 hours for them to open and scan after I received my new mail notification. Sometimes it took 3 weeks by which time I received a late fee on the bill. I call EMC customer service and they recommended I open a PO Box in New York at one of their processing centers. I chose New York because it was the closest processing center to where my mail is sent from. Out of all of the Virtual Mail Box companies I looked at, two had processing centers one or two states away from where most of my mail is sent from. Based on reviews, I decided to go with the Traveling Mail Box in Sanford, NC. As for the a list of service providers, while Googling I found Josh’s website http://www.travelchinacheaper.com/best-virtual-mailbox-mail-forwarding-services-for-travelers. At the bottom of this page, It turned out that Josh had already done the leg work and all I had to do was verify his research. I hope this helps. Thank you for the post. Nice post – I enjoyed reading it. I appreciate the info about the changes going on with Earth Class Mail. I’ve been using Traveling Mailbox for a while now and I’m very happy with it. I feel like they are a smaller business than the other virtual mailbox services but as a result they have great customer service. The few times I had questions they were very quick to respond and provide answers. Thank you for comment and I’m glad you enjoyed reading my article. Yes, the Traveling Mail Box is a smaller company and they only have one processing center in Sanford, NC. After saying that, I agree with you. Their customer service is very responsive. On one occasion I found myself on a support chat with Mr. Travis Poole, the President of the company. Impressive! I compare this type of involvement by top management with end users/customers to that of Mr. John Legere’s, CEO of Tmobile. He is very involved with his customers and listens to them. Both Tmobile and the Traveling Mailbox will go a long way with this approach and this is slowly becoming the new norm in B to C companies. Earth Class Mail reached out to me yesterday with a survey. Basically, the survey was asking questions as to why I joined EMC and why I left. The reason why I left was price! They doubled my price plan for new customers. Although I was grandfathered in to my current price plan, historically grandfathering prohibits you from taking advantage of new service features. The equivalent Traveling Mailbox plan is only one quarter the price of EMC’s! Other things I mentioned in the survey way paying extra for color scans and the antiquated user interface. Another plus for the Traveling Mailbox is they usually complete scan requests within 3 hours. Whereas, EMC would take just a little over 24 hours. I help this extra bit of information helps. Again, thank you for your comment and thank you very much for reading my blog. Hello! I have been an ECM customer for many years, since 2009? Before that, I was with another virtual mail provider for about a year. The new owners at ECM appear to be out of touch with the customer niche. They simply do not know who we are and what we value most. Most annoyingly, they appear to assume we cannot simply leave them. Yes, it’s annoying to change addresses, but if your old landlord hikes up the rent unfairly and won’t explain the details on the receipt beyond their pricing category (e.g. writing “storage” for items that don’t appear to connect to anything at all and questionably not valid charges based on not using the storage feature of the service — meaning, I scan/shred/send everything and nothing is lurking in my inbox). ANYWAY…. after a bit of searching… I found Travel Mailbox. I just finished a customer service call with the company and my confidence in virtual mailboxes is restored. I’m ready to pay annually and get my new STREET ADDRESS… compared to the PO box that I’ve had for years and never fully worked. I’m not sure how I’m going to transition quickly without paying the price hike of 49.99 per month (seriously ECM? )… but I will get myself over to Travel Mailbox as soon as possible. I plan on making complaints against ECM as I feel they are abusing their power and not properly reporting fees. Unless ECM is purchased or acquired by another company, I don’t see them lasting long. The poor management is felt on every level. RIP ECM. I apologize for the tardy reply; I’m trying to catch up after last months condolence in the family. I agree the new owners of EMC are out of touch. Like you, I joined EMC back in 2009. EMC have a large debt load to deal with created by the old management team. The former management overspent over the years and not frugal enough when they foundered the company. Travis Poole, President of The Traveling Mailbox, is very frugal on the other hand. It is not beneath him to roll his sleeves up and provide customer support and work on some of the mail sorting himself. I have a lot of questions I wanted answering before joining the traveling mailbox. About half the time, Travis Poole was the one answering the questions especially if I asked them on weekends. I found the Traveling Mailbox much more responsive and quicker. Here’s an example: Last weekend was Labor Day weekend, so most company employees had a three day weekend. Using EMC, if I received a mail piece on Friday, and put in an open and scan request, it would be Tuesday before I received the scans. Not the case with the Traveling Mailbox. I would receive the scan on Friday evening at the latest. Also, I received a mail notification yesterday, Labor Day, from the Traveling Mailbox. I put in the scan request, and two hours later its done. I guess the main difference between EMC and the Traveling Mailbox is EMC only work five days a week and don’t work weekends and holidays. The Traveling Mailbox does work weekends and holidays. I should write an article about using virtual mailboxes and what to look for. The Traveling Mailbox seem to have set the standard. Thanks for reading my article and for the comment. Your info has been helpful. Coincidentally I also am a Georgian on the road. I have been with ECM since 2008 but don’t want to go with the increase to $49 per mos. I am choosing between St. Brendans Isle and Traveling Mailbox. Did you find the 2 months to keep with ECM necessary? Do you think there would be much of a time difference if you used a premium address vs the Traveling Mailbox NC address? There are a couple problems with changing Personal Mail Boxes. The first is the post office will not allow you to file a change of address to a new PMB. 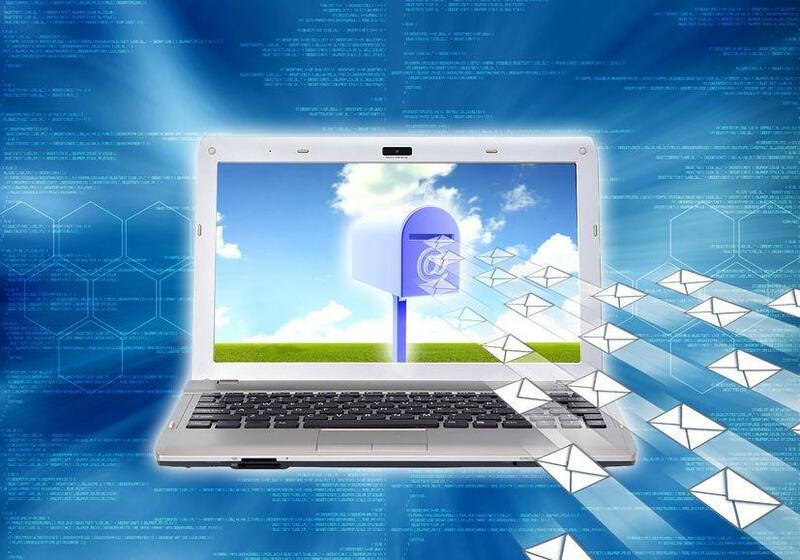 Second, EMC and others will not notify you of new mail when you close your account. So yes, I found it necessary to keep my old EMC account around for an extra two months. The Traveling Mailbox NC address (500 Westover Drive) is their actual location. All the other addresses are remote and mail sent to them is forward to their 500 Westover Drive address. So yes, there is an extra lag in time. I have been an expat living all over the world for 3 years. In that time I have relied on Traveling Mailbox LLC for my domestic US personal mail needs. They had been reliable until October 31, 2016 when they changed an addressing policy and failed to notify customers. This caused me untold problems and costs with non-delivered time sensitive mail and checks. I wanted to work with them to resolve the issue but their customer service, while responsive, refused to acknowledge a problem on their end. It’s disappointing seeing a good service have problems and not at least acknowledge there might be an issue on their end. I can no longer recommend their service. Do your due diligence. Switching is a hassle but I am forced to with undelivered mail going on 3 months. For clarification I had a “Florida” address pre-fixed with an “8” so my address was 8XXXX with a package address in Sanford with box XXXX. Until October 31, 2016 the instructions were to address packages to Sanford NC without the “8” pre-fix. In November they changed this policy to all mail requiring the “8” pre-fix. They did not notify customers of this change. After not receiving checks expected on Nov 1 then Dec 1 I contacted offices and had them cancel and re-issue checks. I even had a check from my bank sent to the address using bill pay services as a test since I live overseas. None arrived. When Jan 1 2017 checks did not arrive and nothing arrived on the re-issued checks I spoke with both Travis and Mike at Traveling Mailbox LLC for the 4th times, they again assured me there was no problem on their end. Really disappointing as I’ve been a big fan of theirs and have recommended them to many expat friends. When a company you depend on refuses to even acknowledge that there MIGHT be problem it’s a big red flag. We offer a Virtual Mailbox / Mobile Address +Virtual staffing services starting at $8.99/month. Over 16 years in business. +1-704-948-8120. We would love to earn your business. Let us know how we can be of service! We offer Virtual Mailbox service. We call it a Mobile Address because it “follows” the customer wherever they go. We include our Virtual Staff services as well. We find that many of our VM holders need extra help or attention with their various logistics tasks. We are always happy to oblige. We consider quality attention paid to our customers to be paramount. The blogs I was reading about VM services always mentioned the same companies. I say that there are alternatives and many of them are better – including my store, Total Office Services. Thank’s Joe for the information.